Malwarebytes is very populary known for its free security utilities specially Anti-malware software. Other utilities that it provides are Anti-ransomware, Anti-exploit etc. 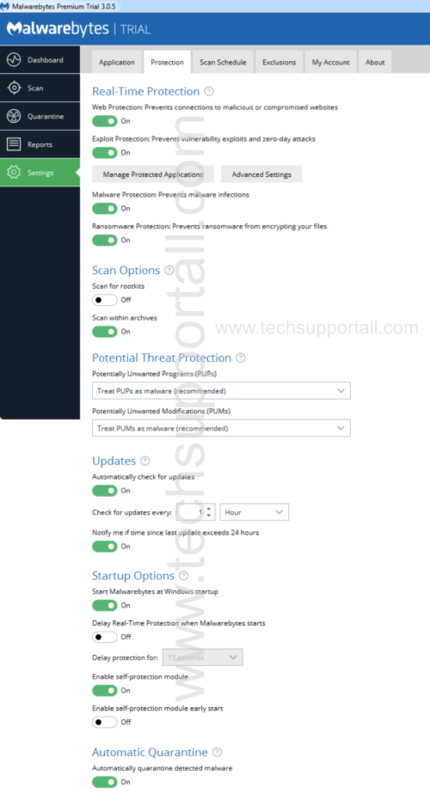 In its latest release Malwarebytes 3.0 they have integrated their individual protection modules in a single product which makes this release stronger and smarter then its previous version. It was much awaited release by its users as no one want to install different standalone products. And everyone was saying why Malwarebytes is not integrating all security tools in a single product. So they have integrated all major security modules in a single product. Even Malwarebytes 3.0 have eliminate the requirement of an antivirus software. They claim that Malwarebytes 3 will make the antivirus software obsolete. Means now you do not need an antivirus software to complement the anti-malware software. It includes all the necessary security modules. Malwarebytes 3 integrated four layer of protection to safeguard your computer and data. It provides real time protection for all these threats in its premium version and trial version. Trial version is of 14 days. And if you do not upgrade to premium after 14 days you can continue using this software for free as an on demand scanner. Refer below screenshot for more detailed security options of this newly released Malwarebytes 3.0. 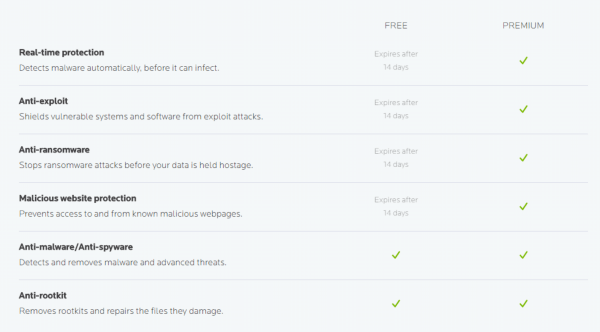 Look at the features below that you will loose after 14 days if you will not upgrade to the premium version of Malwarebytes. After 14 days you can still use the product for free as an on demand scanner or second opinion scanner. After 14 days your will loose Real time protection, Anti-exploit, Anti-Ransomware & Malicious website protection. Price of the newly launched Malwarebytes 3 is $39.99 which is costlier then its previous version which was approx $24.99. Normally traditional antiviruses start from $39 price range, which makes costlier to keep an antimalware and antivirus software in a PC. But in new version you can save the money that you are spending on your traditional antivirus. Which make it a cheaper deal with enhanced security in a single product. But a good news is that Malwarebytes’ existing customers will get the new software with the same old price. For business users Malwarebytes will start the centralized management system in the next year. So they have to wait for the Business release.